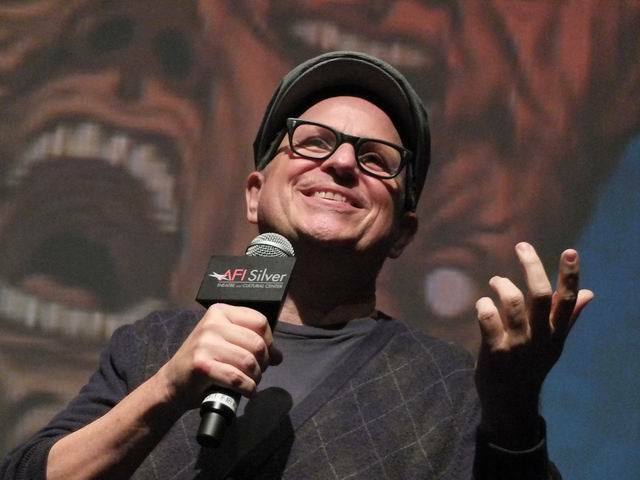 We sat down with director Bobcat Goldthwait on opening night of the 2013 Spooky Movie International Horror Film Festival to talk about his foray into horror, “Willow Creek”. Goldthwait is known for his work as an actor/comedian in the ‘80s, starring in films like “Scrooged” and several “Police Academy” installments, but is more recently recognized for writing and directing pitch black comedies like “World’s Greatest Dad” and “God Bless America” (which is screening tonight at the festival – click for review). Now he’s adding found-footage to his résumé. “Willow Creek”, his fifth feature, follows a young couple into the wilderness of the Pacific Northwest in search of Bigfoot. 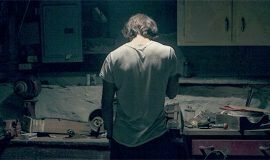 Pa/Pa Reviews: Was horror something that you always wanted to do? Bobcat Goldthwait: Yeah. I like genre pictures. I like all kinds of movies. If I keep making movies, I don’t want to keep making the same kind over and over again. Most filmmakers that I really admire kinda did that – like Billy Wilder and Bob Fosse. PPR: You’ll have the spectrum kind of locked up after this movie…. BG: Well, I’ve been trying to get a musical going for a long time, which is really my dream project. It’s with Ray Davies of the Kinks. I wrote a script – it’s an existing album from the ‘70s of [The Kinks]. So I’ve been trying the get that movie going for a while. PPR: May I ask which album? BG: Schoolboys in Disgrace. It’s not even one of their most popular albums, but it’s probably my favorite album of all time. 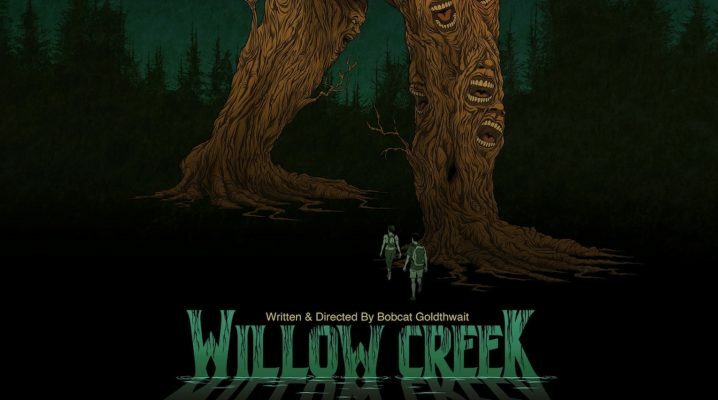 PPR: “Willow Creek” is a found footage film, correct? BG: Yeah… as I always joke, the much dreaded found-footage (laughing). You know, initially I though when I was first going up there I might make a movie that would be similar to a Christopher Guest kinda picture, like a mockumentary…. but when I got there, I felt like I wanted to do a found-footage. I’m doing my best to stay away from a lot of the “traps” in found footage. You know, like, who found this footage and said “Hey, I’m sorry your family got killed, but if I re-edit it, I really think there’s a tremendous picture there.”? And the convenience of cameras always being where they should be, things like that…. I think that because digital cameras are so accessible and easy, there’s been a glut of found-footage movies that aren’t very good. I didn’t go back and watch it, but I remember being blown away by “The Blair Witch Project”…. (laughing) Jimmy Kimmel jokingly calls this movie “The Blair Squatch Project”. PPR: There’s a lot of dark humor in your other films, and particularly with “God Bless America”, some pretty heavy social commentary. Anything like that in “Willow Creek”? BG: [“Willow Creek”] isn’t really magnifying any of America’s flaws (laughing). That sounds really pretentious for me to say out loud. It is a little bit about how drive can be your downfall, which I guess is a pretty American theme. I do like to question who we are and what we’re doing. 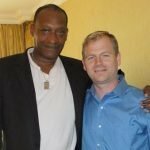 PPR: Which film did you have the most fun with as a director? BG: Well, this one was the most laughs. The small crew, the cast and myself sleeping in tents, sleeping at the Bigfoot Motel. It was a lot of fun all along. PPR: What’s the funniest story from on set? BG: (Laughing) The ranger that was with us said “Oh I’m a writer, too. I write ‘Twilight’ type tween fiction set in the Bigfoot community”. You know, it’s like 3:00 AM and I’m like, “Oh, yeah?” And he says, “Yeah, it’s called ‘Yeti or Not’”. (Laughing) This is the guy protecting us from being eaten by a mountain lion!